Selling Used Gadgets? 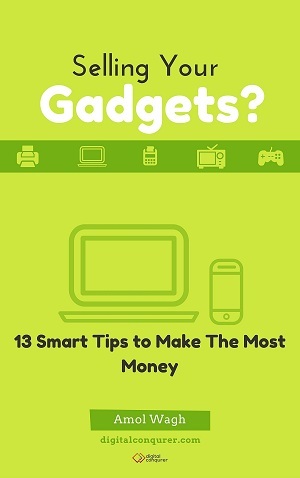 – 13 Smart Tips to Make The Most Money! LEARN WHAT IS THE RIGHT TIME TO SELL YOUR GADGETS. HOW YOU SHOULD PRICE YOUR GADGETS, TO MAKE SURE THE GUARANTEED SELL. PLACES THAT WILL BRING YOU THE MOST MONEY, BOTH ONLINE AND OFFLINE. LEARN WHAT YOUR BUYERS ARE THINKING? AND WHEN THEY MIGHT NEED YOUR DEVICE. ADDITIONAL TIPS FOR THOSE WHO BUY AND SELL DEVICES FREQUENTLY.